How Far is Lokhandwala Minerva? Large private sundecks with each apartment. Double height ceiling in duplex living area. 5 bhk master bedroom with attached pool overlooking the arabian sea. Italian marble in living room, dinning room, all bedrooms and bathrooms. Stain-free imported flooring in kitchen. Weather resistant engineered wood / italian marble flooing in sundecks. European / american branded high grade sanitary ware. Modular european kitchen. Integrated home automation systems. Air-conditioning residences with vrv system and temperature control in each room. Integrated intercom security system in each home directly connected to main gate security. State-of-the- art firefighting and security system in the entire complex and each home. 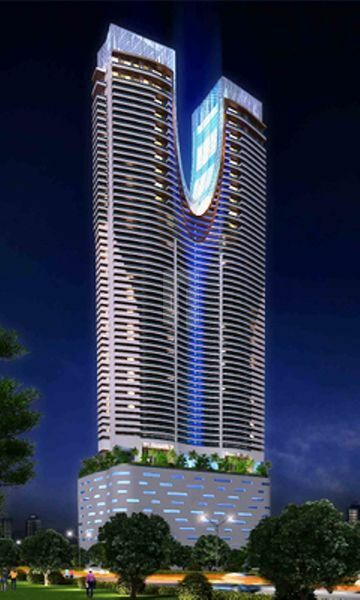 85 storey residential tower. First apartment begins at 26th floor from the ground. Lavish 3 & 5 bhk apartments and luxurious 4½ & 6 bhk duplexs. overlooking mahalaxmi racecourse & Arabian sea. Observation deck with sky lounge at 700 ft above the ground. 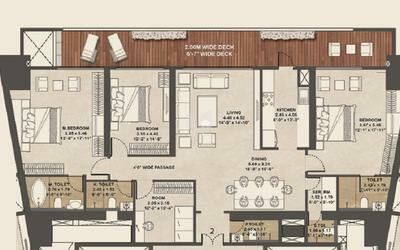 Design as per vastu. Interiors by world renowned designers. High speed elevators. Leed gold pre – certified green building. Centralised car wash facility. 24 x 7 medical emergency service with ambulance. Ample car parking. Ultra luxurious internal and external amenities. Legendary clubs like turf club, wellingdon and nsci in close proximity. Landmark hotels and shopping malls in nearby vicinity. Car elevators. Dedicated car parks for visitors. Separate parking space for short durations. Driver's waiting area and rest room at every parking level. Separate entry and exit in the building for services and housekeeping staff. Green building. Water recycling and rain water harvesting facility. Garbage segregation. Non – toxic environment friendly paint. Maximum usage of natural lighting. Multi – layered heat resistant glazing.